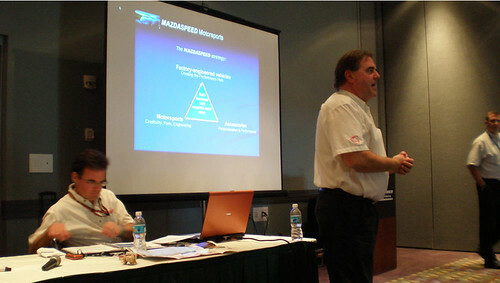 Originally during the 2008 Performance Racing Industry Trade Show the MazdaSpeed Motorsports Development group put on a great talk aimed at improving a racer’s off track performance. Well for the the 2009 edition of the PRI show the MazdaSpeed Team was back at it again. 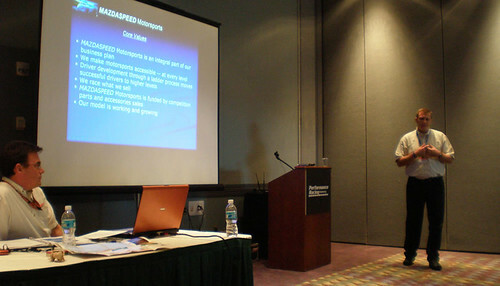 This time word had already spread about the value of attending the 2008 sessions and standing room only was the norm. Regardless of whether you are Road Racer, Drag Racer, Oval Track Stock Car Racer or any kind of competitor in Motorsports we think you will find this great advice for all involved in Auto Racing. Here is part one of the presentation, and part two will posted shortly as well. 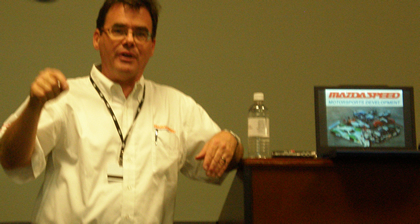 This is Part Two – of a Two Part Recording – and is a recorded excerpt from the Seminar that the MazdaSpeed Motorsports Development Program – hosted on improving the “off track” performance of Racers – during the recent 2008 PRI Show. 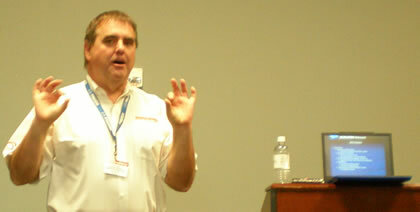 This seminar was held during the Performance Racing Industry Trade Show and was open to anyone involved in the sport of Auto Racing. Drivers and Racing Teams working to make a name for themselves would especially benefit from the tips and knowledge given during this session. We believe that this information will help the Sport of Auto Racing as a whole – and that is why we at the Road Racers Podcast decided to bring this audio recording to you. We think you will enjoy this.